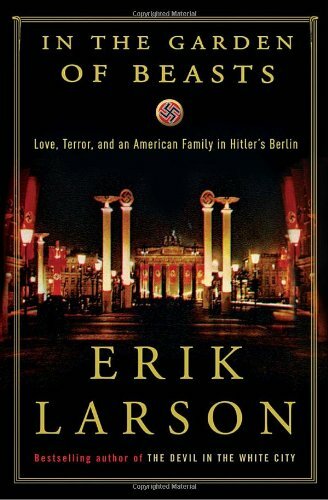 His most recent book, In the Garden of Beasts, focuses on the U.S. embassy in Berlin in 1933, drawing particularly on the letters and diaries of Ambassador William Dodd and his daughter Martha, who kept company (and sometimes more) with, among many others, the head of the Gestapo and a Soviet spy, Larson has also written non-fiction, including Devil in the White City, which has fascinating information about late nineteenth-century architects, the first Ferris Wheel, Little Egypt, and a serial killer–all in Chicago in 1893 for the Columbia Exposition. Another of his books, Isaac’s Storm tracks the 1900 Galveston Hurricane, in part from the perspective of the new U.S. Weather Bureau. This piece featured on NPR’s Fresh Air on the historical background of Erik Larsen’s novel.